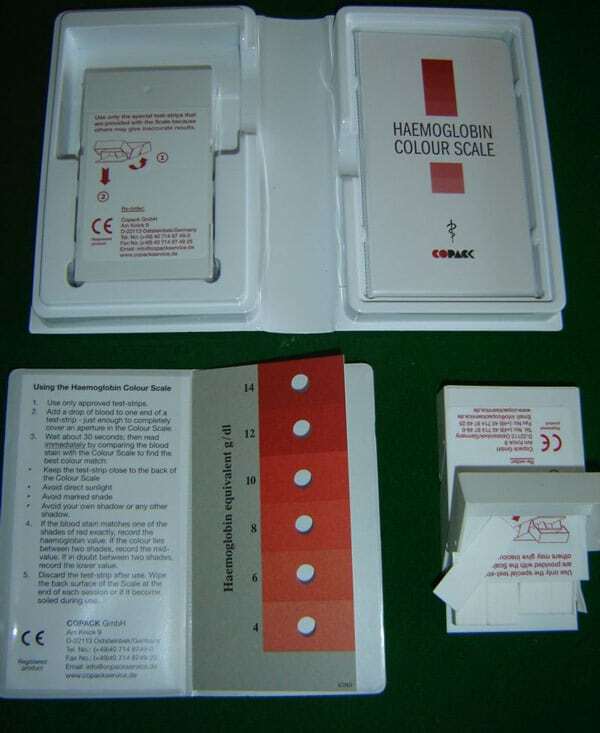 The Kit comes in a self contained sturdy box containing the instructions as well as a colour scale of the 6 shades of red and 600 standardised absorbent test strips for testing haemoglobin. Malaria, is very much related to Anemia. Red blood cells are infected by the malaria parasites entering the blood after an infective mosquito bite. At the end of that infection cycle, red blood cells rupture. This process lowers the amount of red blood cells and can in a severe stage cause severe anemia. 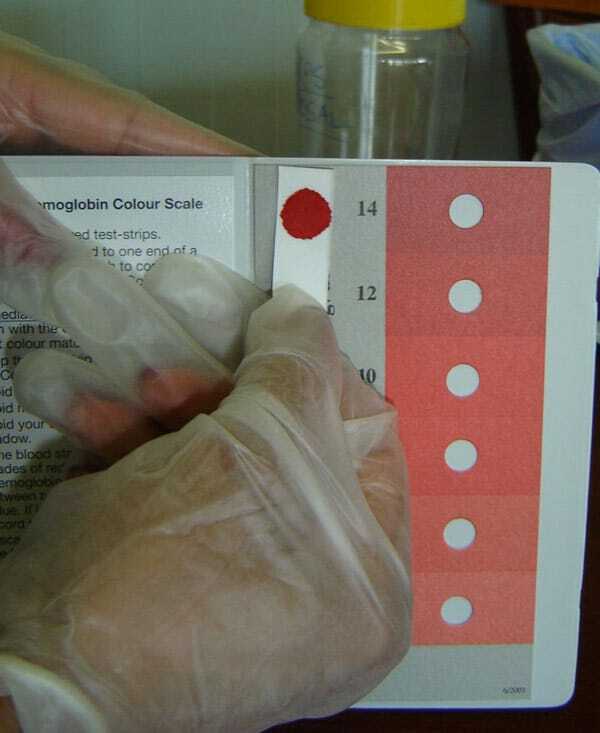 Anemia testing is a helpful indicator of a patients wellbeing. Note these test kits are for Haemoglobin testing so are useful not only in the fight against Malaria.